This bear theme Bear Country Crib Set is the perfect accent to your rustic nursery. A great look for your little boy or girl. 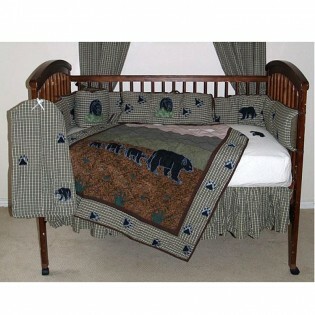 Made of cotton plaid with bear applique.